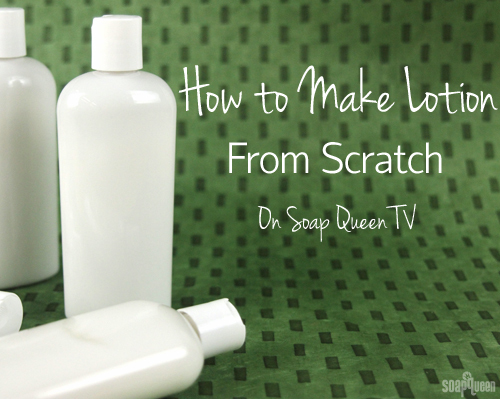 Learn how to make handmade lotion in this throwback episode of Soap Queen TV filmed in 2010. After watching this video, you will have all the tools you need to make luxurious, moisturizing, and perfect lotion every time! 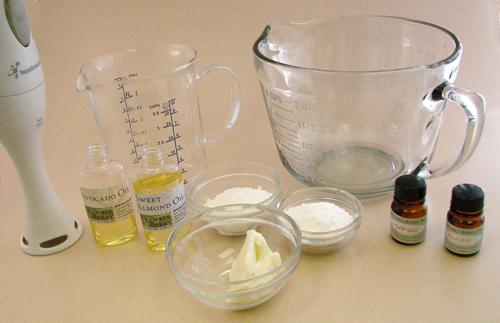 Interested in creating your own lotion recipe from scratch? Check out this blog post to learn more about emulsifiers, lotion oils, preservatives, and how to use them. First, lotion ingredient uses and benefits are reviewed. Then, learn to make lotion from start to finish. Labeling requirements are also covered if you plan on selling your product. A note on semantics: Anne-Marie uses the term sterilize which is technically incorrect. The term disinfect should be used when talking about cleaning tools for lotion making. 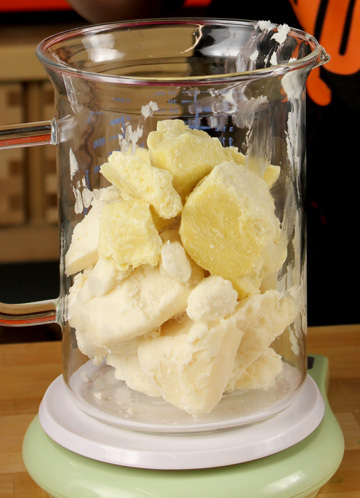 Want to make your very own lotion from scratch? Our Lotion Kit includes everything you need to handmade lotion. Whether you’re taking an exotic trip this summer or tanning in your backyard, you’re covered with this series of Bronze tutorials. First up, give your lips some moisturizing shine with the Beautiful Bronze Lip Tint tutorial. Featuring a special blend of Merlot Mica, Copper Mica and Gold Sparkle Mica (which is 20% off this month! ), it’s perfect for subtle color. Then, visit Soap Queen on Tumblr for the complimenting Bronze Goddess Nail Polish. This recipe makes 3 bottles of polish, so keep one for yourself and give the rest to friends! For bronze-y skin care, take a look at the Shimmer Stick that came out in this week’s newsletter (didn’t get it? sign-up here!) It’s a super-pigmented solid bar that also imparts plenty of skin-loving moisture. It’s fragranced with Burnt Sugar Fragrance Oil, which features delicious notes of amber and vanilla. For more skin-loving goodness, take a look at the Coconut Cream Pie Cold Process tutorial. Made with 100% coconut water instead of distilled water, it’s a tropical soapy treat! 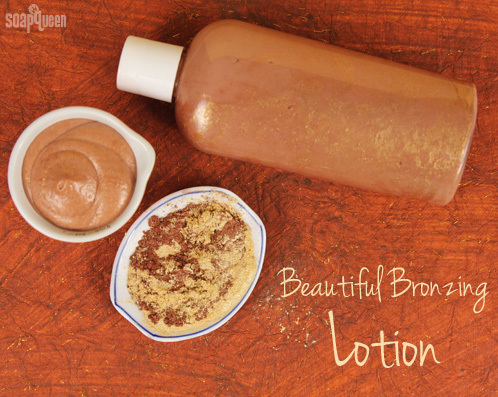 The final tutorial in our Bronze Series is the Beautiful Bronzing Lotion. Made with the Aloe Lotion Base, this is a beginner recipe that can be made in a matter of minutes. You may already be familiar with thyme for its culinary uses — this slow baked salmon with lemon & thyme recipe, for example? Yeah, it’s to die for! Beyond the kitchen though, thyme also has a long history as a purifying plant and medicinal herb. Believe it or not, thyme was used by the Egyptians for embalming, by the Greeks as incense and in Europe in the Middle Ages to ward off nightmares. You can read more about thyme on its Wikipedia page here. 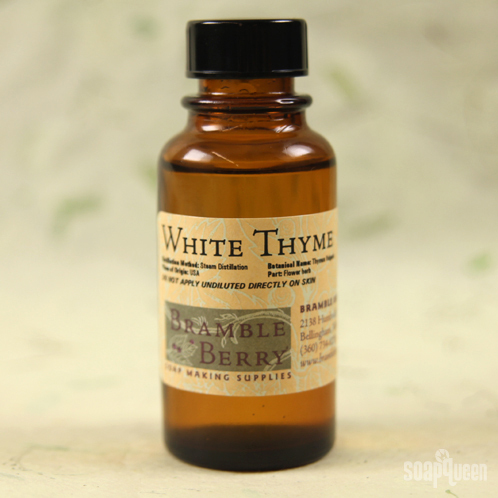 In soapmaking, White Thyme Essential Oil is a soothing scent that works in soaps, lotions and creams. Our White Thyme Essential Oil is first steam distilled from the flowers of the plant which creates a red thyme oil. The re-distillation produces the more gentle white thyme. Woohoo! Here we are again with another installment of Talk It Out Tuesday (check out our previous TIOT’s on bath bombs, colorants, melt and pour and our latest on preservatives). I am delighted about the topic this week because I know many of you have questions about water-based lotions. I can’t wait to help you answer them. So read on and find out everything you wanted to know about lotions! And, if I didn’t answer it, feel free to ask me in the Comments section. Lotion is a basic skin-care product that is used to soothe dry skin and often has ingredients that are intended to give extra added benefits to your skin. Body butters, balms, salves, lotion bars, creams, and massage candles can all be considered a lotion. 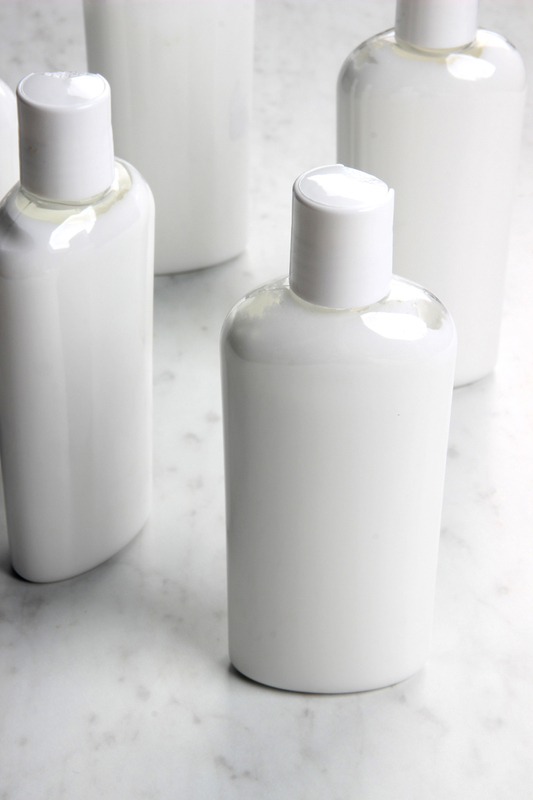 Generally, a traditional lotion will have water + oils + emulsifiers + preservative. How do I make lotion?